i’m rachael, the all-around crafty lady behind imagine gnats, a blog where you can read about my crafty adventures and an etsy shop where you can get in on the action. i make dolls, skirts, purses and bags, all of which are also available for custom order (my favorite thing to do). you’ll also find graphic prints, some featuring my original illustrations, accessories, and whatever else strikes my fancy. Modern Fabric Studio offers designer fabrics in rich and vibrant colors perfect for quilting, sewing and creating anything your imagination desires from curtains to pillows, purses, skirts and much more! We also supply patterns and sewing tools to assist in your many sewing adventures! Hey ya’ll, I’m Lindsay! I’m married to my handsome computer geek, a mother of 2 smiley blonde boys, and a lover of all things crafty. Growing up as a dancer, I always had a way to feel artsy and creative. Then as a stay at home mom, I began to feel desperate for a new creative outlet. About 2 years ago, I taught myself to crochet and have been “hooked” ever since. Enter, Curtsay Designs, a mish-mash of mine and my husband’s names, but also an homage to my first love, dance. It keeps me from idly staring at the computer during nap time, while I catch up on my shows (umm, Downton Abbey, anyone?). It tests my mind as I come up with new patterns, and it just plain makes me happy! I love making crochet patterns for all things baby, and once in a while a little fun for the moms too. ::: fiber artists who create marbled, hand-dyed/batiked textiles, Henry Road screen prints + more! giveaway will end tuesday at midnight so enter now! I’d love to win…especially those fabric gift cards! I love the Meadow Organic fabric from contemporary cloth! I like the The Slouchy Bow Beanie PDF Pattern from Curtsay! At Modern Fabric Studio the English Garden in Bluestone – Organic is beautiful! Great giveaway. Those are all such cute shops! I love cloud 9 fabric Elefete Sky My Happy Nursery! I love the washi infinity scarf at imagine gnats. Modern fabric studio has some great material! I would use Kashmir in Fig in a dress for my daughter! Those cards are really cute and winning fabric is always a good thing!!! What a great giveaway – I like both of the “My Happy Nursery” prints @ Contemporary Cloth — elefete sky and flock shell! I love imagine gnats ‘Spinny Skirt for Girls’. pbackholm(at)gmail(dot)com – I would LOVE to win! Liked Contemporary Cloth on facebook. I like Modern Fabric Studio’s voile collection, my favorite is Coreopsis in Raspberry. I’m following Modern Fabric Studio on Blogger. I liked Modern Fabric Studio on facebook. I love your giveaways! And everything about your blog of course. :) Thanks for the chance to win! Favorite from imagine gnats is the fayette custom doll. I follow Curtsay’s blog privately. Imagine Gnats offers the cutest “Spinny Skirt” for girls! I recently ordered the beautiful fabric collection “Loulouthi” from Modern Fabric Studio and was pleased with their service and the fabric quality. I love the Slouchy Bow Beanie in Curtsay’s shop. Not sure if I’d make one for me first or my little Lily girl! I’ve ordered fabric from Contemporary Cloth before and would be thrilled to win their organic fabric “Cloud 9 Flock, Shell, My Happy Nursery” that you have pictured! I already LIKE Contemporary Cloth on Facebook. I like Modern Fabric Studio on Facebook. love the monaluna anika fabric at modern fabric studio! love the copper print stamps that contemporary cloth carries! following imagine gnats on facebook already, yay! Awesome! Those cards and that fabric is AWESOME. My favorite thing from Curtsay Designs is the –scallops and lace cowl in teal–! My favorite thing at Imagine Gnats is –Good Morning, Birdie greeting card–…So cute!! RachelErinS@gmail.com AH everything is so cute!! I am now following them all on FB! What an awesome giveaway. I hope I win!!! Imagine gnats’ spinny skirts are adorable. I love Peacock Feathers in Turquoise – Voile from Modern Fabrics Studio! At contemporary cloth I really like fly away by amy schimler. wow, nice loot. I just started following your blog and am really enjoying it. Thanks! Wow, great loot. I just started following your blog and really enjoy it. Thanks! Wow, Imaginegnats custom dolls are adorable. I bookmarked this for my daughter’s birthday! What a fun giveaway. I have been out of blogland for several months, and I miss it. It is fun returning and resing my favorites, like you. I am loving this giveaway. Although I love all of the shops and items, my favorite is the Cloud Nine Toadstools fabric. So cute and just in time for gardening and summer. Maybe I’d use it for a gardening apron. That’s a big giveaway! Thanks! I follow contemporary cloths blog! What a wonderful giveaway bundle! Thanks for teh chance to win! I follow the MFS blog – love it! I follow the Contemporary Cloth blog. I love the Good Morning Birdie print from imagine gnats. I love the City in Black fabric from Contemporary Cloth. I really like the Scallops and Lace cowl in Teal from Curtsay Designs. I really like the Washi infinity scarves in the imagine gnats shop. modern fab studio…cherry tree in pink! What a spectacular giveaway – thanks for the chance to win!! 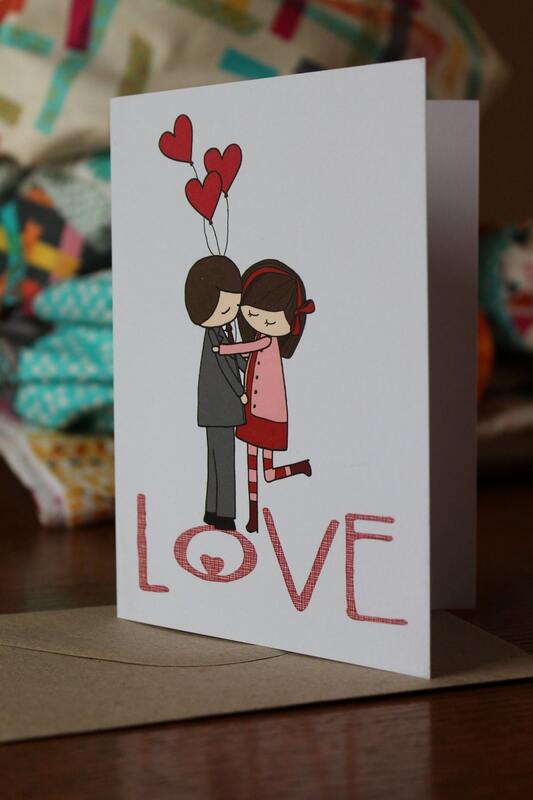 Love Lark by Amy Butler that Modern Fabric Studio is carrying! Love the Scallops and Lace crocheted cowl in curtsay designs’ Etsy shop! Love the Cite Black and White Alexander Henry fabric at Contemporary Cloth! ellen(at)myerly(dot)net. I love all Imagine Gnats prints, Rachael is a clever lass! Already loving MFS on FB–see I told you these were some of my fav gals! I follow the Contemporary Cloth Blog! Follow Imagaine Gnats in the world of blog! Love the organic line Monaluna over at the MFS shop :) Quirky, cute and good for the world! My email address is sandyb720@gmail.com. Awesome giveaway – thank you!!! Another great giveaway!! Fingers crossed for me! Thanks for the chance. I love the Goodnight Owl card and pring on Image Gnats – lovely shop. Lark Sateen by Amy Butler at Modern Fabric Studio is exactly what I have been looking for to make the traveler’s bag by Amy Butler. I just would love to make the bluebird hat from Curtsay Designs. I know several woman who are expecting and this little hat would be so cute to give as shower gifts. Jessica Jones Outside Oslo collection is awesome to make bags from Contemporary. Liked CC page on FB. Liked the Heirloom fabrics from MFS. Liked MFS page on FB. At Imagine Gnats, I love the pink spinny toddler skirt. imagine gnats – wash infinity scarf! At Modern Fabric Studio, I love the Heirloom fabrics. At Curtsay Designs, I’m loving the bluebird crochet hat. Just adorable! At Contemporary Cloth, I LOVE the Stockholm fabrics. I like Imagine Gnats on Fb. I like Modern Fabric Studio on Fb. I like Curtsay Designs on FB. Already following the Imagine Gnats blog. I now follow the Love City blog. I follow the Contemporary Cloth blog with Google Reader. modern fabric studio – poppies by marin! curtsay designs – Scallops and Lace crochet cowl in teal! 2.Imagine Gnats: I like the Spinny Skirt-I would pick out teal colored fabric. 4. Imagine Gnats: I am following the blog. contemporary cloth – the green marbled fabrics are gorgeous! liked imagine gnats on fb! liked modern fabric studio on fb! liked curtsay designs on fb! liked contemporary cloth on fb! 2. There are too many fabric I love at Contemporary Cloth: one of those is: Fly away-Sunset by Amy Schimler. From imagine gnats, I love the name! But I really like the diverse nature of teh blog, a lot of inspiration, anything from fabric design to tutorials, like the cute owl pillow, to the inspirational food graphic to download. I like the spinny skirts from imagine gnats. From modern fabric studio: I was not familiar with them until now. After perusing I am impressed with the diverse nature of the tutorials posted on the blog, very nice. From the store i liked that they also carried voile and flannel, which is nice! I like the retro floral collection from modern fabric studio. I like the Peanuts the Elephant Crochet hat pattern from Curtsay Designs. From curtsay designs: The cutest babies! And the hats really nice, the enormous elephant ears! The cutest crochet bowties! Love contemporary cloth. I can attest to their superb customer service, and love all the prints they carry. Really good store, Sondra also keeps a good blog with out of the box inspiration. Right now I am eyeing the new alexander henry they have. I like the toybox-blue hill fabric at contemporary cloth. Fab giveaway…would love to win. At contemporary cloth i love It’s A Hoot – Gray Blue Owls – just even thinking about all the possibilities for it is too much! I follow imagine gnats via email. I follow Curtsay Designs via GFC. I follow contemporary cloth’s blog. Am following Imagine Gnats’ blog. Am following Modern Fabric Studio’s blog. Am following Contemporary Cloth’s blog. Am following Curtsay Designs’ blog. Ahh!!!! I absolutely love it all! It’d be ecstatic to win any prize. I’m think the ‘Owl Card’ from Imagine Gnats is way too stinking cute. I’d love me some Heirloom fabric by Joel Dewberry from the Modern Fabric Studio. It looks like they’re on a great sale right now, too. OMGosh! Any one of those adorable little ‘Easter Sunday Crochet Bow Ties’ would be my favorite. I can’t decide! Love all the modern fabric choices. Would love to win. I love giveaways! Thanks for the opportunity to win! Especially the fabrics and Inagine Gnat Cards! The cards are absolutely DARLING! i love the *flannel – crumbs – grass – beyond the sea* fabric from cloud 9. it would be perfect for making a gift for a baby set to arrive in october. i love the elephant hat pattern from curtsay designs! i really want the shattered in sun voile from modern fabric studio! I adore the viole especially the wren viole from contemporary fabric studio. the scalloped scarf from curtsay designs is lovely! the flock fabric you featured from cloud 9 is exactly what I’d choose from them! I could really use some updated fabrics. Thanks for a chance at such a great giveaway! My favorite imagine gnats item is the love print! My favorite Modern Fabric Studio item is Bloom in Mandarin! The cutest curtsay designs item is the Blue bird hat…too cute! My fave item from Contemporary Cloth is the Domesticats fabric! Cute! I like Modern Fabric Studio on FB! I like the good morning, birdie card from Imagine Gnats. I like the Crochet scarf striped in green, grey, and blue from Curtsay. That bird fabric is adorable from Cloud 9. So cute for a little girl’s dress. Lovin’ Curtsay! Thank you for bringing it to your readers attention. I love the Little Boy Crochet Bow Tie Blue with Car Fabric Button!! I already like Contempary Cloth on Facebook. Another great giveaway, with some super prizes! I’m following everybody on FB, and, as usual, I’m sharing on my own page about the giveaway. Thank you, thank you, thank you….. I like the flannel from modern fabric studio. Would make ideal backing for a lightweight quilt! From image gnats I like the owl pillow! Black and white printed cloth at contemporary cloth. Thank you for the fun giveaways. Oh my gosh–what a generous giveaway. Thanks so much for the introduction to these sweet shops. My favorite thing at Imagine Gnats’s etsy shop is the print with the little aviator and the saying “There is no substitute for victory”, because it reminds me of my dad, a pilot in WWII and Korea. From the Modern Fabric Studio, my absolute favorite item is the incredibly hard to find, incredibly priced “City” in Turquoise by Echino. From Curtsay Designs, I especially like the teal crocheted cowl. I follow Contemporary Cloth’s blog via email updates. My favorite item at Contemporary Cloth is “cite” (city?) in black and white by Alexander Henry. Fabulous prizes, thanks so much for the chance to win. My favourite item from Modern Fabric Studio is the Echino Purple Scooters fabric. My favourite item from Contemporary Cloth is Nature Walk Organic Fabric – Moss Ocean. I follow Contemporary Cloth & am signed up to their newsletter. I am signed up to Modern Fabric Studio’s mailing list/newsletter. Great giveaways! Thanks so much! Wow, what a great giveaway, thank you for hosting, everything is so beautiful. Modern fabric studio is awesome, I had never heard of them prior to your post, however I will be ordering from them, hopefully soon. I like the Wrenly collection at Modern Fabric Studio. I like Good morning Bird print at imagine gnat. That cloud fabric is beautiful! I love the Forest Hills in Sweet Voile from Modern Fabric Studio! So fun! I love the Frog Prince Crochet baby hat pattern! SO cute! Very nice giveaway!! Cool sponsors, still checking out their sites! lOve this fabric Ornate Floral in Garnet from Modern Fabric Studio have the perfect project in mind for it. i like the brooksher diaper bag from imagine gnats! d’oh! cloud 9 toadstools print!!! need!!! Thanks for the chance to win some amazing fabrics. I’m visiting via Contemporary Cloth. mlwright29(at)hotmail(dot)com Our FB is under this email and Margaret W.
The toddler’s spinny skirt at Imagine Gnats would look so pretty on my grandnieces. Wow! Awesome giveaway… something for everyone! I really like Wrenly fabrics from Modern Fabric Studio – thanks for the chance!! At Imagine Gnats, I love the spinny skirt. Thank you for this fantastic giveaway!! My favorite from Curtsay designs is the bluebird hat. My favorite at contemporary cloth is flock.